Energetisch und provokant präsentieren SCHRAMM eine postapokalytische Bühnenshow mit knallharten Beats, Live-Instrumenten wie dem Theremin, Theatereinlagen und deutschen Texten. Das aktuelle Album „Nuklear-Fetisch“ (Cleopatra Records) ist ein umfangreicher 15-Track Longplayer mit Features von THE HORRORIST und AD:Key. SCHRAMM schlägt die Brücke zwischen Industrial und Electro, Rock und EBM, Dystopie und Tanzvergnügen. SCHRAMM present a post-apocalyptic show, energetic , provocative with uncompromising beats, live-instruments, projections, performances and german texts. The formation of Berlin / Greifswald was founded in 2006 as studio project. Since that time, numerous domestic and international shows , several musicvideos and remix works for renowned artists followed. The Debut release SCHRAMM have been for weeks under the top 10 in the GEWC Charts and have been played since 2012 in different music channels and international sceneclubs. 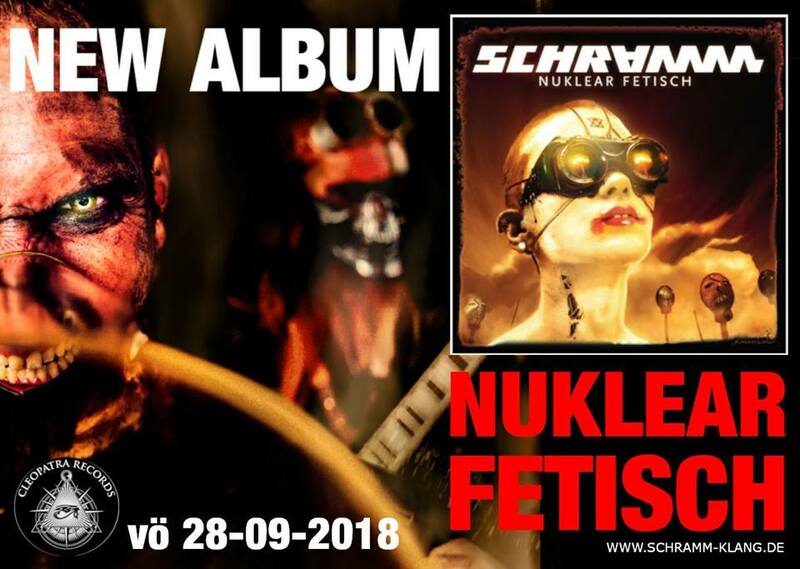 The upcoming longplayer“Nuklear-Fetisch“ does appear at the 28th of september 2018 and includes 15 songs and features THE HORRORIST and AD.Key. SCHRAMM struck a bridge between dancing pleasure and dystopia , bewitches with strident sound and their stage structures constructed by themselfs. Social and human abysses act as the fuel for explosive productions.